You just hurt yourself. It could have been due to an accident or something that you started to notice pain over time. Maybe you need surgery. Maybe not. Medicine is not always black and white, and neither is hand therapy. Yes, there are protocols and general time lines for when most people get better or are expected to get better. But I always say that everything falls on a bell curve. You have the outliers…the ones that do great so fast without complications. You have the other side where they take the longest and have every problem know to man. Most people though, fall in the middle. But even that…is too long to be limited functionally and in pain. No matter how many times you have been told the protocol or told how long something takes, it can all wear down on the most positive person. Research has shown many benefits of optimism and positive thinking. It helps you manage your stress levels and can improve your overall health and well-being. BE positive. 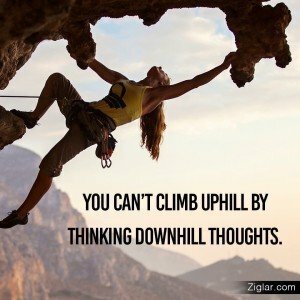 Positive attitudes and thought processes can go a long way in therapy. It’s the “glass is half full” instead of the “glass is half empty” type of thinking. You don’t always have to be positive, you can have moments where the stress of it all, the pain and limitations of it all get to you. It’s okay! You are allowed to have those moments. It’s okay to have those moments with your therapist. It’s a great opportunity for you to go over with your therapist your goals and what you want out of therapy. Let her/him know what’s working in therapy and what is not working for you to reach those goals. Your therapist can help you see how “full” your glass is just by going over with you your measurements from when you first came to how far long you are now. One of the ways to be positive is to THINK positively. Your therapist can help go over with you the progress that you made in the time you have been there. They can help you take a step back, and look at the bigger picture. Lets look at functional progress. One of my patients came into therapy with a elbow injury, couldn’t move her arm much less brush her hair. Now she can brush it, put it a ponytail, and most importantly, she can do her daughter’s hair. Yes, there will be set backs, the pain and stiffness just seems to not go away fast enough. But keep in mind those small steps lead to bigger ones. Everything always gets better. Remind yourself of that daily. Don’t say negative things to yourself that you would not say to someone else. Let your therapist be the one to help you develop some of that positive talking that will translate into that positive thinking. DOING positive things to make you feel better is a HUGE part of getting better in hand therapy! It also cycles back to helping you be positive and think positive. In therapy for any part of your hand, wrist, elbow, or shoulder, your participation is crucial to your success. Your therapist only has so much time with you a week. But you are with your arm 24-7. Make sure you have an outlined home exercise program that you can do at home. I like to go over and over it with my patients, even highlighting what I want them to do based on what I see is going on that day or week. Hand therapy is dynamic, it’s always changing and improving to help you improve. If you do it, and do it right, you will see the positive changes. BE, THINK, and DO positive! 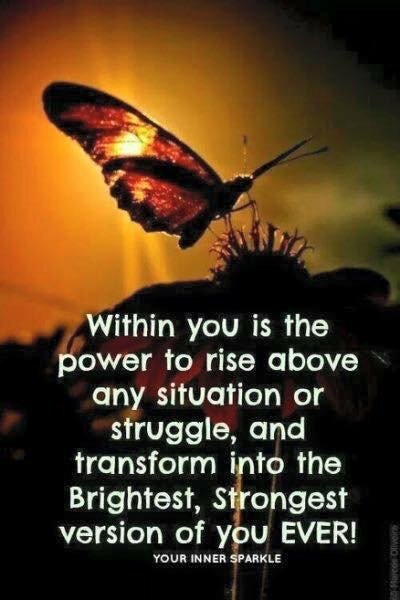 You will get through this and know that you are an even stronger person for it. Please understand that you can only send pocastrds to existing clients because personalisation is important in communication. Dropping pocastrds anonymously is costly and not effective. You must decide on a promotional theme. Let’s say it’s Swedish National Day this month and you can offer a Swedish massage to tie in nicely.Next: For new customers/first timers, offer a 50% on any massages. At the same time, take down all their details. To get new customers, try flyers with your namecard. Position yourself well at malls, you’ll notice that spas and similar businesses are on certain floors/areas of a building. Just hang around the area. Then you get the likeliest customers. Try non-peak hours and avoid weekends where people don’t have time or are not interested. Should also try office buidings. For existing customers, you should offer some simple packages. Eg. $300 for 4 sessions vs. $400 normal price. Or you can word it as : Pay 3 x and get the 4th session free. You can also try and persuade the newcomers to sign up to the packages. Alternatively, you can also sell’ by telling your existing customers that if they bring a friend and their friend sign up for the packages, they can get one or two sessions free.What this does is : it gives you the $ upfront. Also, it is your duty to call/remind those who had packages to utilise it. It is a good way for you to assess the service/quality when you can chat with them. They can even tell you what competitors are doing.